Where more than one party is at fault and causes harm to someone, they are, in law, equally responsible to pay out the total amount of damages owing to the injured person. This happens frequently in car accident cases where an at-fault driver’s insurance policy limits are not adequate to cover the injured victim’s damages. 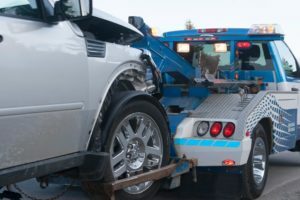 If a municipality is also at fault, in addition to the at-fault driver, the municipality may have to pay the injured victim’s damages over the at-fault driver’s insurance policy limits. Full compensation for an injured victim is the primary objective of joint and several liability. Why should the injured victim suffer because an at-fault driver has inadequate insurance? Most drivers in Ontario carry $1 million policies. Most cases fall within those policy limits. But the most seriously injured and vulnerable have cases in excess of that amount. Those are the people joint and several liability protects. For the last several years, the lobby group for municipalities in Ontario has been trying to get the government to do away with joint and several liability. NO. In fact, eliminating joint and several liability creates systemic unfairness to the most vulnerable and injured victims in Ontario. How does eliminating joint and several liability create unfairness? Seriously injured victims suffer when the amount of their claims exceed the policy limits of one of the other at-fault parties. It means they go without compensation to cover the cost of their ongoing care, treatment and loss of income, placing an undue burden on our already-strained health care system and social safety net. But what about fairness to the municipalities? The municipalities of Ontario would have you believe that municipalities pay out money simply by virtue of being sued along with another at-fault party. This is completely untrue. A municipality is only required to pay an injured person when they are also an at-fault party. The municipality has to be liable in the first place! For over thirty years, municipalities have failed to point to any reliable evidence or data that would support their arguments that joint and several liability is linked to rising insurance premiums or higher taxes for ratepayers. Their claims of financial hardship are just being used as an excuse to give them even more special protection when they have done something wrong. How are municipalities protected? What “special protection” are we talking about? an injured victim must notify the municipality in writing, with particulars, within only 10 days of injury or their lawsuit can fail – even if there is a valid reason (like being incapacitated from the injury!). In most other civil matters, you have up to two years to bring a lawsuit. Not so with municipalities! a municipality cannot be held responsible for injury caused by snow or ice on a sidewalk unless it is grossly negligent – a much higher standard for an injured person to meet! Municipalities need no further protection. Injured victims do.